Edinburgh Tram passengers are facing disruption this morning. An image posted on the official Edinburgh Tram Twitter page showed a blue BMW Estate on the tracks at Eastfield Crossing near Edinburgh Airport. 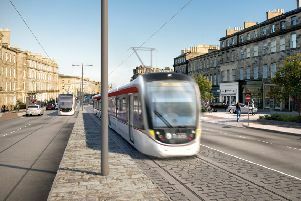 A part route service was in place however Edinburgh Trams announced at around 8am that the car had been removed and the service is being restored.